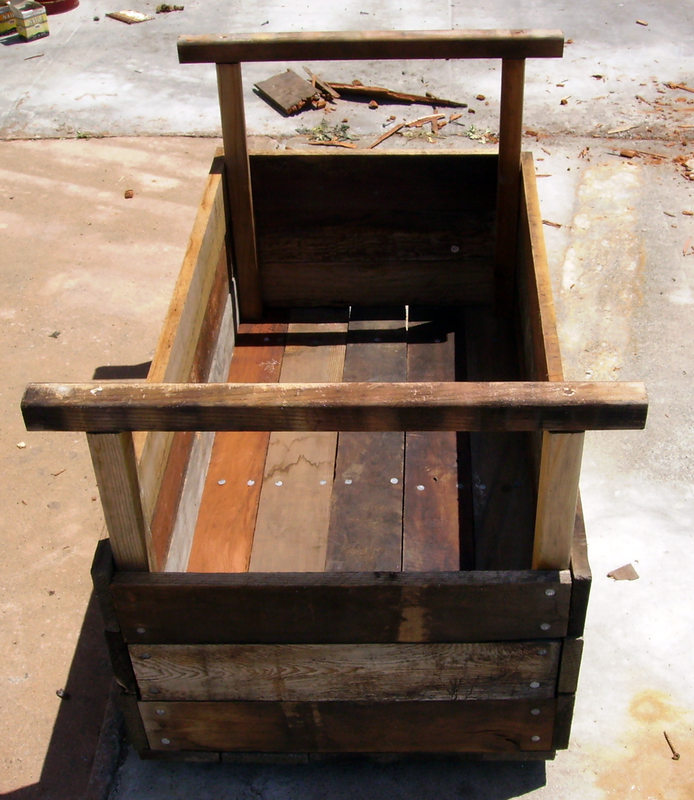 These directions make a 3'x1.5' planter, about 12" deep, with handles on the side and rails on the bottom to facilitate moving by hand or pallet jack. 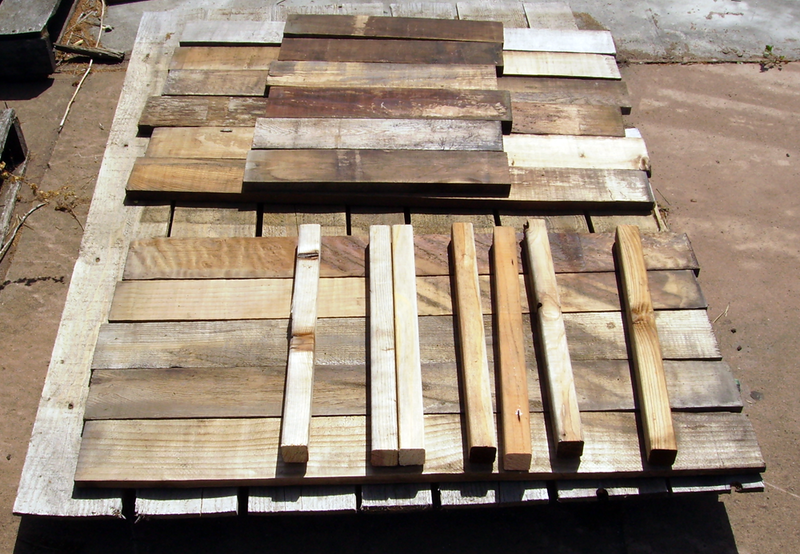 The size of the planter can be easily adjusted by changing the size and/or number of the boards to suit your needs and resources. An 11"x17" poster printed with these instructions is available here. Place 2 18" 2x2 under 3 18" 1x4s as shown in picture to left. 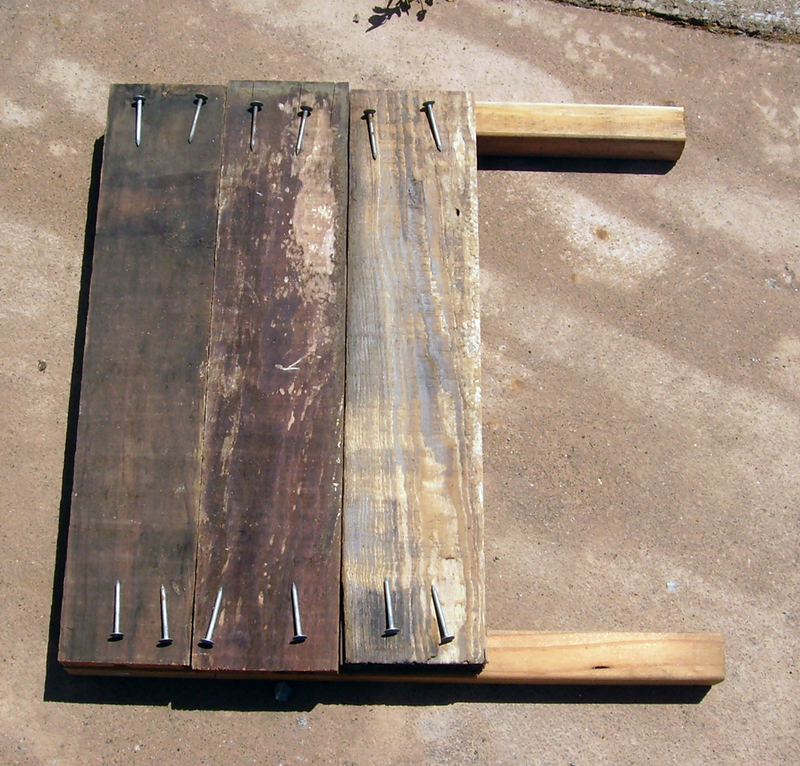 Use two nails in each end of each board spacing nails 2" apart and 1" from top and bottom, as shown. Balance ends of planters on their sides. Adjust so the ends of the sides line up with the end boards. 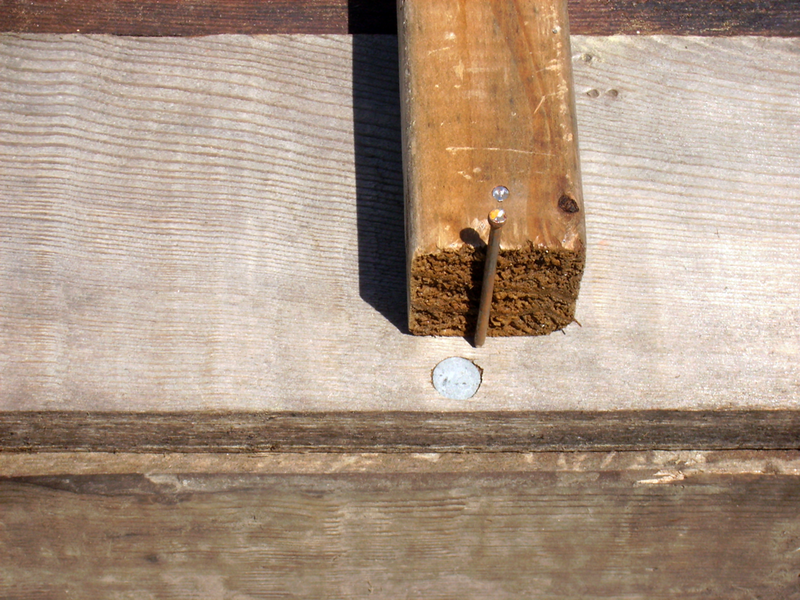 Nail in place as above, lining up nails in side boards with nails in end boards. 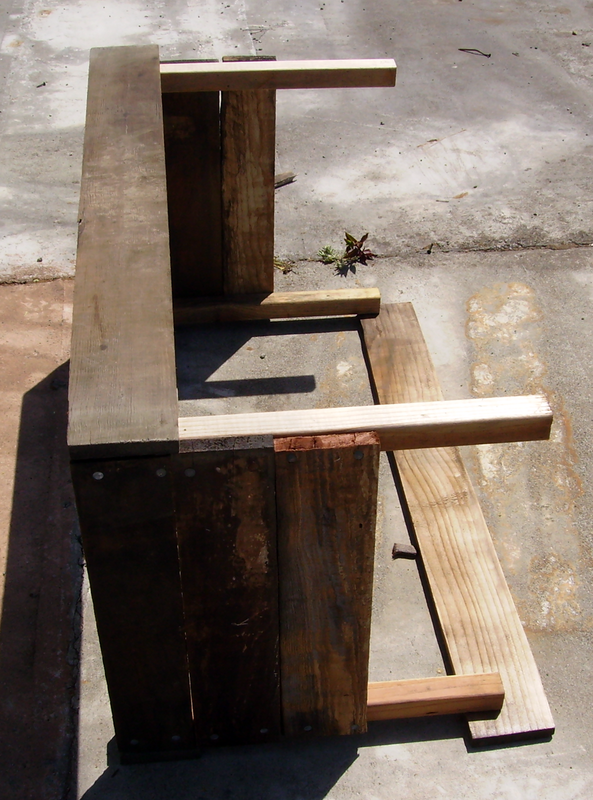 Use a board under the ends of the 2x2s to stabilize the assembly of the second side. 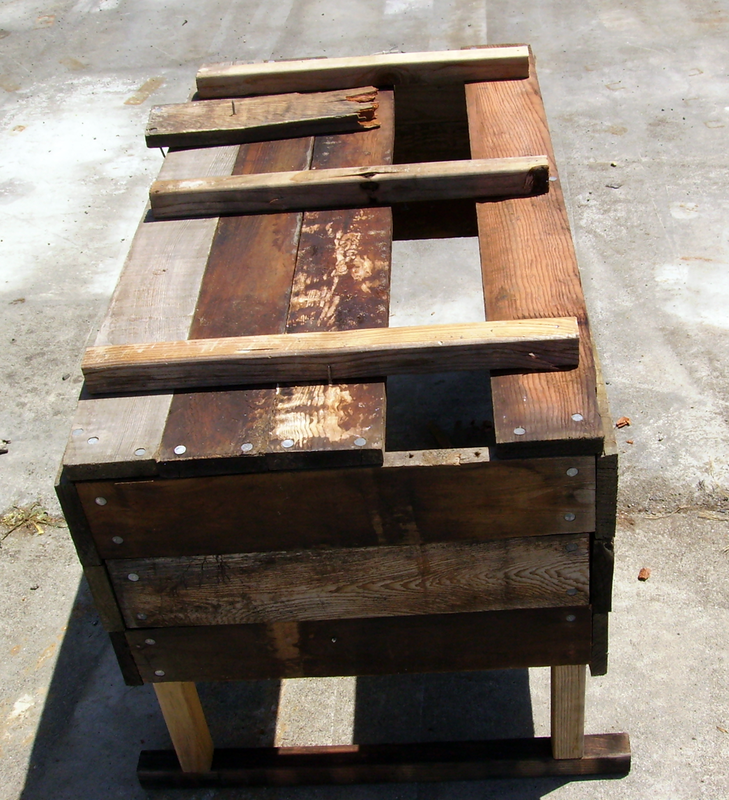 Your planter should now look like this. 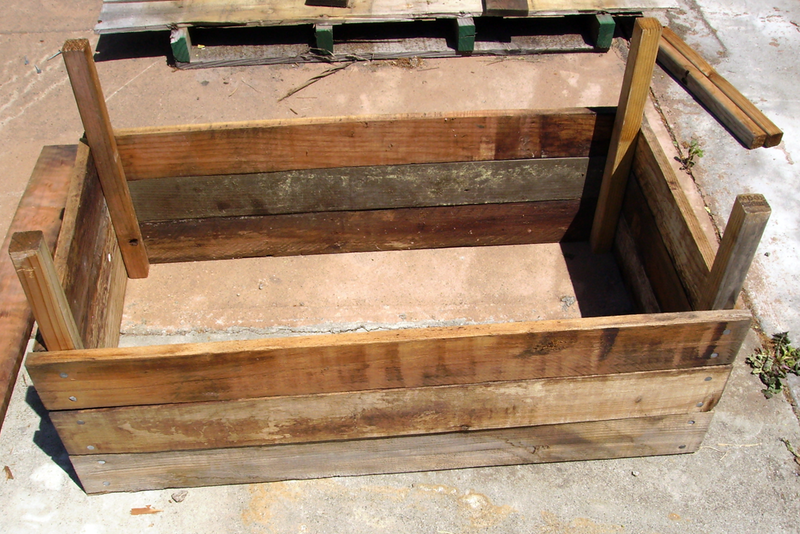 Arrange remaining 5 1x4s on bottom of planter as shown. 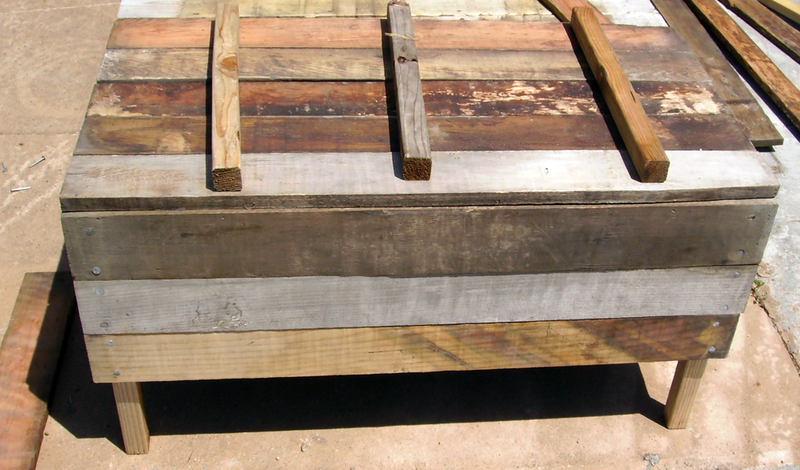 Nail 1x4s in place, using two nails in the end of each board as before, and two nails on the outside edges at about 12" and 24" to attach the outside boards to the side boards. Put the 2x2s in place at 6", 18", and 30". Tack in place with finishing nails. 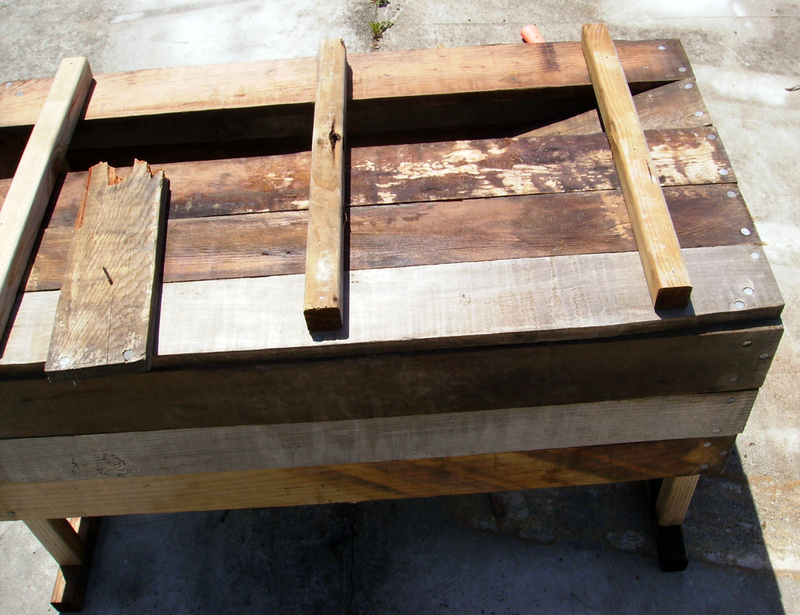 Turn planter over and nail in place from inside of planter. Turn planter right side up. Take 2 22" 2x2s (or remaining 18" 2x2s) and center on top of upright 2x2s. Nail in place, or use long screws for additional strength. 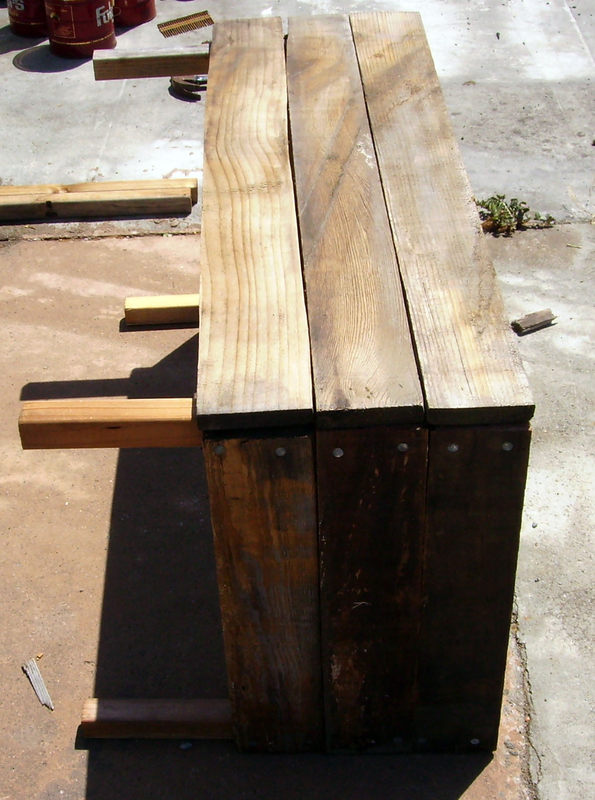 If you are using scrap lumber, check the strength of the planter before using in. Get in and jump up and down a few times. Kick the side boards. Abuse the planter before it gets abused in use and fails unexpectedly. 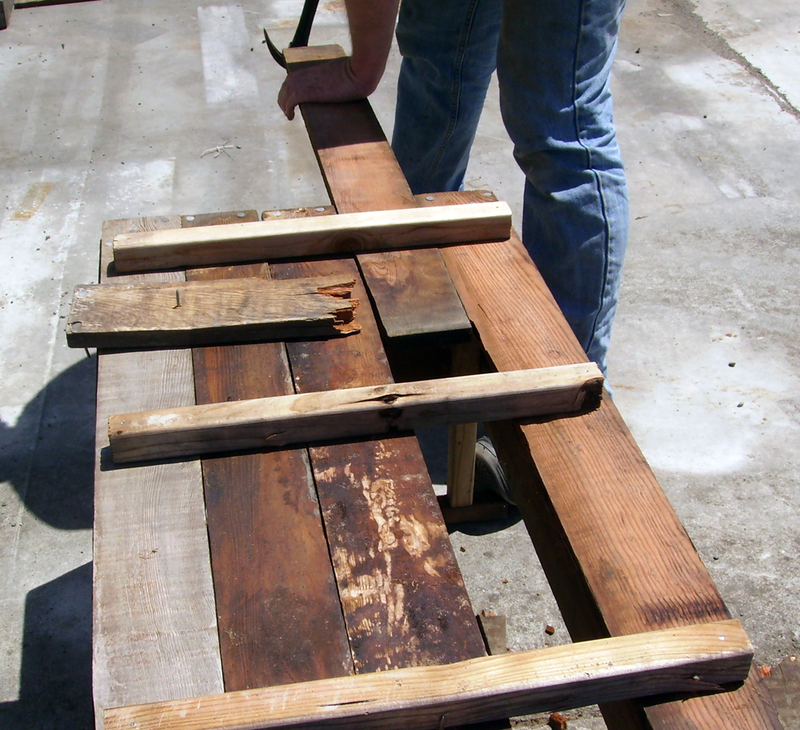 If a board fails (as shown below), it can be wiggled out without dissassembling the planter, then a new board pounded into place and nailed down.